We all know that when a country is in need there are organizations to help out. Better yet, we expect it. Look at the current refugee crisis. Refugees are trying to find their ways to safe havens or are living in refugee camps. Who is keeping these camps up and running? Is it the local governments? NGO’s? The United Nations? You might be surprised about how well you know some of the companies who are contributing to help these people. It might even make you change your mind on where you will buy your new bookcase and how you will have it delivered. Not to mention the most recent collaboration between the two giants which resulted in a new form of transportable housing for refugee camps called Better Shelter. 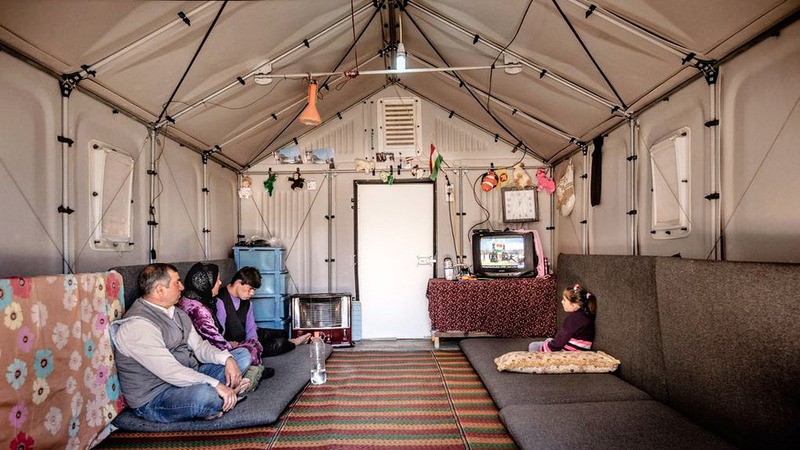 UNHCR has ordered 10.000 of these flat pack temporary housing units and is likely to order more in the near future. Just imagine how much easier life gets when you have a place to call home. A place where you can shut the door when you need some peace and quite or where you can find shelter when the weather is harsh. Imagine the pure luxury of a home where you can stand up straight after being forced to live in a tent for several years. And since we are talking about consumerism. Have you ever bought something on the internet? Sure you have. Big chance your product was shipped to you by UPS, which also happens to be the founder of the UPS Foundation. The UPS Foundation works on many projects from community empowerment to environmental sustainability. But, to stay on topic. UPS is one of the corporate partners of UNHCR. They help them out with.. You guessed it.. Logistics. Obviously, the world’s largest package delivery company has a pretty impressive logistic network. They must have thought, why invent a good working system twice, and are now donating logistical expertise, funds and services to enhance UNHCR’s emergency response. The UPS Foundation has played an important role in UNHCR’s Syria emergency response as well as in numerous other crises and emergencies. Of course.. in an ideal world, there would be no such thing as refugees and in a semi-ideal world, states would take full responsibility for the people fleeing their territories. But the fact remains that we live in the real world where multinationals sometimes have more money to spend than countries. In 2001 a list was made with the 100 largest economies in the world, 51 were corporations. Only 49 were countries. (Based on a comparison of corporate sales and country GDPs). So in this real world.. It only seems fair that the private sector and states work together on tackling global issues. So next time you go on a shopping spree. Make sure you spend some of your hard-earned cash at some of the ethically approved companies out there and help a brother or a sister out.